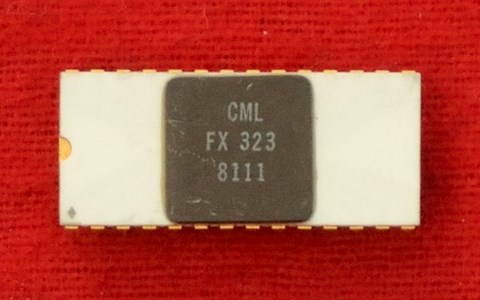 The FX313 and FX323 are used to store address and data characters and output them to a seven segment display. The FX 313 is dedicated to store and display up to seven characters, and can directly drive a LED display. 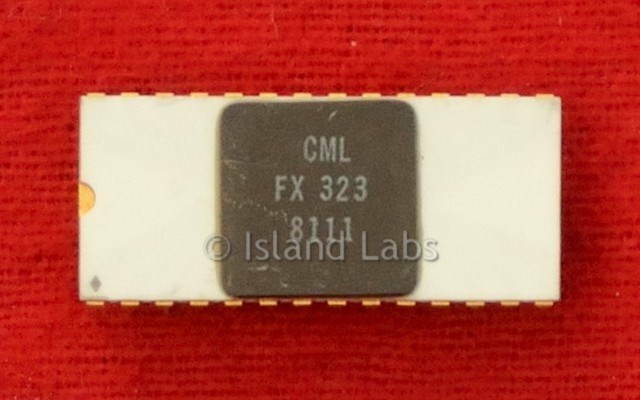 The FX 323 is suitable for storing and output multiplexing up to sixteen digits. Internal driver transistors interface with the segments (current limiting resistors may be required at higher supply voltages). For 16 digit displays (FX 323), the digit lines are driven by an external decoder. To prevent segment smear on the display from one character to the next the devices incorporate a short blanking period between each digit, i.e. the segment O/Ps are disabled. Data information is presented in the form of 4 bit QTC coded words at the data inputs. Data is stored in the device’s internal register and displayed on command. All numerals 0-9 and four bar symbols can be used to express data, e.g. telephone numbers, coded locations of meetings and times, etc. Character loading is enabled by a 0-1 transition of the LOAD ENABLE pin, which also clears existing store contents and continues until QTC character F is received. (Character F has no display function and represents end of code only). An OVERFLOW indicator will output logical 1 if the number of characters loaded exceeds the capacity of the internal store. The contents of the store are not overwritten in this situation. The OVERFLOW output can drive a single LED or a decimal point of the main display. The OVERFLOW output is reset to logical 0 by the next pulse at the LOAD ENABLE input. On completion of data loading, the NEW DATA FLAG is set; this can be used to set the alarm to signal new data in the store, e.g. the decimal point on display could be activated.